Buxton Rotarians Andy Collier (right) and Bruce Thomson donated six Christmas Prostate Cancer Charities’ Appeal puddings to Ruth Eyre of The Source for dinners they and The Tradesman’s Entrance will provide on Christmas Day for those in financial need or isolated. The Rotary Club of Buxton also donated three puddings to Charis House for families in their care over the Christmas period. 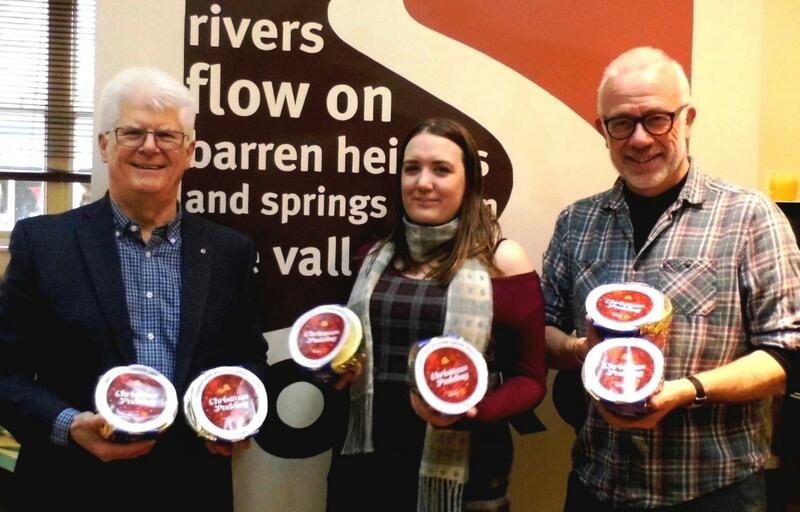 Since supporting Cwmbran Vale Rotary's Christmas Pudding Appeal initiative in 2007, the Club has ordered over 1,900 puddings.